This beautiful, amazing, I-missed-it-when-I-was-done book. 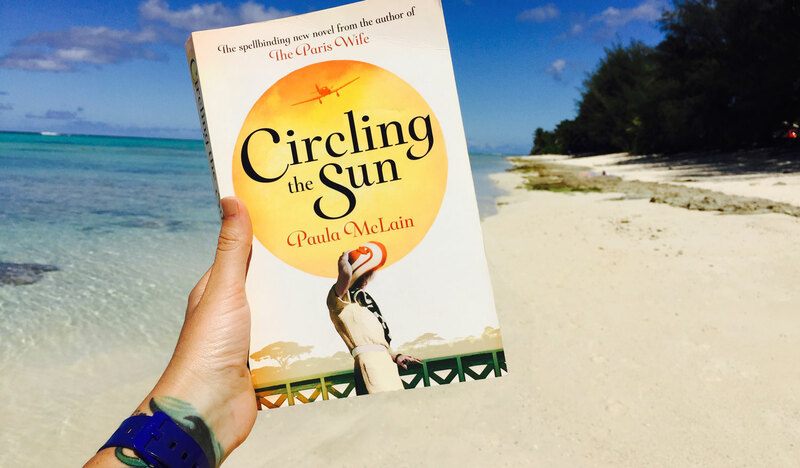 As you can see, I took Circling the Sun to Rarotonga on our holiday and it was the perfect vay-cay read. I haven’t read The Paris Wife but it’s been on my to-read list forever and has definitely jumped a few places up the list after finishing McLain’s latest offering. Another true story, Circling the Sun takes us deep into Kenya and into the unforgettable life of Beryl Markham. The daughter of colonial Brits, Beryl took to life in Kenya with an open heart and mind – despite the closed attitudes that permeated every aspect of life in the 1920’s. The characterisation of Beryl paints a flamboyant image of someone I’d love to be friends with. Passion, drive, ambition in spades and with an unwavering belief in herself, Beryl enjoyed massive success as a horse trainer – the first female to do so – but was unable to find lasting love that she could truly call her own. Society despaired of her seeming inability to ‘settle’ down and ‘behave’, to find a man she was willing to devote as much energy to as she did her career. Failed marriages and ‘inappropriate’ relationships, often tragic, were her legacy but she never failed to be true to herself. You can feel Kenya and the angst of this tumultuous time as you make your way through this stunning book. I fell in love with Beryl, as I’m sure everyone did who met her. As she learnt to fly – the bravest undertaking of her life after she lost her lover in a plane crash, it became clear that there are some women, for whom the world holds no boundaries. How intoxicating would that be? But also very lonely I imagine. Circling The Sun is a phenomenal memoir of the time and of a women of extraordinary character. It’s hard to finish a book like this and not take a slightly critical gaze over one’s life and wonder how much more could we/should we be doing to really fulfil our true potential? I’m rating this one a must read, perfect summer holiday book 10/10.